Which Is The Better Choice – AngularJS or ReactJS? This tool has been designed for high quality, extensive projects and will take time to learn due to its directives and controllers. Once understood, AngularJS is excellent at solving the most complicated projects. The framework is not strong on various development stages but is excellent for testing the final product. It’s able to manage large data flow and boosting your server performance. If done properly, you will eventually get an interactive and rather smart web app. Almost any developer can easily use ReactJS. It offers logical code writing and a developer does not have to master difficult processes. It’s an excellent tool for developing applications and its components work easily as a programming function. ReactJS will save you a great deal of time, which is critical if you are working on large components. AngularJS has the advantage of a two-way data binding allowing you to control any and all changes in your model. Your application will run a great deal more effectively as well. Unfortunately, large data flow and a number of changes might become difficult to control and monitor over time. Completely understanding the tool first, will help you understand all the functions this tool provides. ReactJS uses a one-way data binding that allows you to track all changes and keep them in order. It also features ReactJS Native that focuses on building mobile applications for iOS and Android. Another excellent feature is Flux, designed for handling dynamic data. With only one point of control, ReactJS expedites the performance of your product. AngularJS uses real DOM no matter who makes any changes, either the database or user. Also, any changes in the model are automatically reflected in the view and backward. As a result, all your files will be brought up to date without any assistance from you. AngularJS uses Dependency Injection, as a developer you are able to add services to your module. You can totally configure and test various objects to form or organize into modules. AngularJS also includes a toString method that will find all new variables of arguments and list them. ReactJS uses Inversion of Control to route dependencies and ReactJS-di for Dependency Injection in components. Due to these features, ReactJS handles dependencies much faster than AngularJS. AngularJS allows you to build very powerful directives through a syntax that is quite complicated. It uses both templates and tree method template logic. With ReactJS all you have to do is suggest template logic to the template. 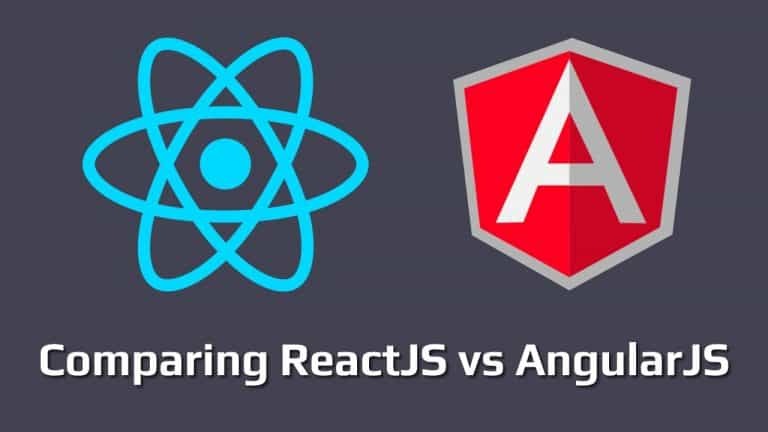 Both AngularJS and ReactJS have their pros and cons so it’s up to you which tool is best for your needs. Although many developers think ReactJS, being a simple library, is a great deal more flexible and easier to use for most projects. AngularJS, on the other hand, is a complete framework and will continue to be the framework of choice for large projects.